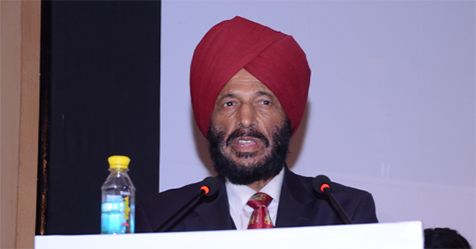 India's most famous athlete Milkha Singh says that the paralympians deserve the highest recognition and awards that the country can give them as they achieve against so many odds. There has been a demand that all the medal winners at the Rio Paralympics - M Thangavelu, Varun Bhati, Deepa Malik and Devendra Jhajharia - be given the Rajiv Gandhi Khel Ratna award, which is the highest sporting honour in the country. While Olympic medalists directly qualify for the Khel Ratna award, there is no such policy in place for the paralympians. Singh, who missed a bronze medal very closely in the 1960 Rome Olympics, congratulated all the athletes who are representing India at the Rio Paralympics for their efforts and successful performances.